My kids are always super excited to see their cousins at Christmas time. There’s always seems to be a gap between ‘yay let’s play’ and ‘yay letss eat’ at our Christmas celebrations, but this year I have a plan to tackle that gap and keep the kids happy while the adults get food on the table. The plan involves backyard cricket, a few silly games, and some drawing and colouring activities – something for everyone. 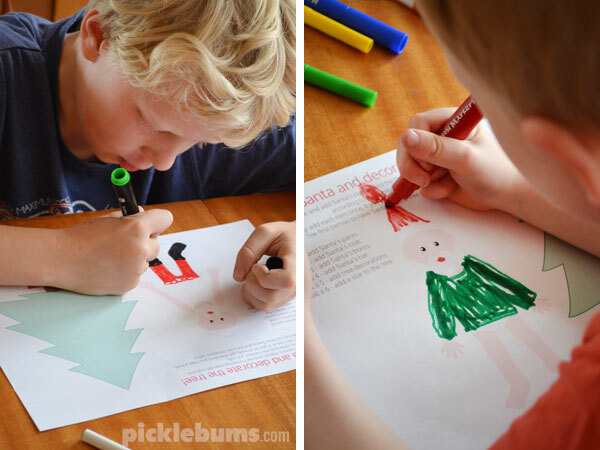 Part of the plan is this fun, free printable, roll and colour Christmas game. Poor Santa hasn’t got any clothes on and the Christmas tree is bare! Quick! 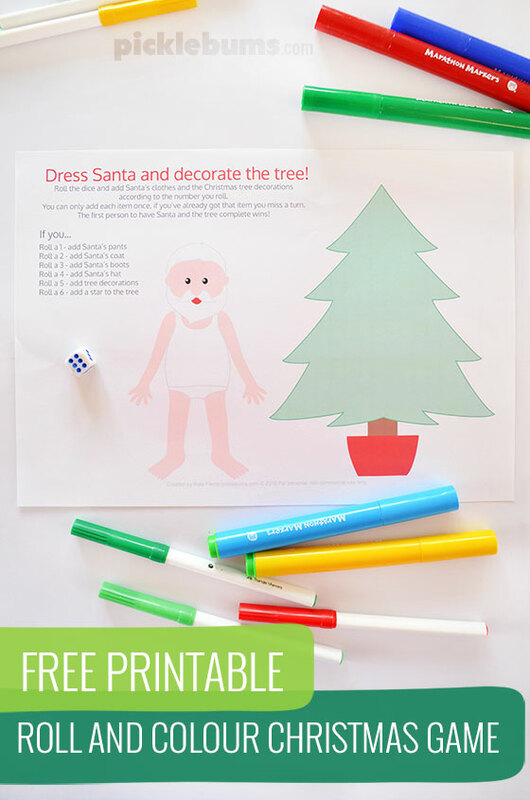 Roll the dice and dress Santa and decorate the tree! You can download the free printable game sheet here. 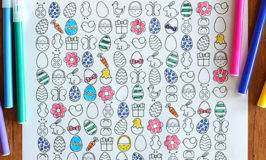 This printable is an A4 sized pdf file. If you are printing on US ‘letter sized’ paper be sure to select ‘fit’ or ‘shrink to fit’ from your printer options. 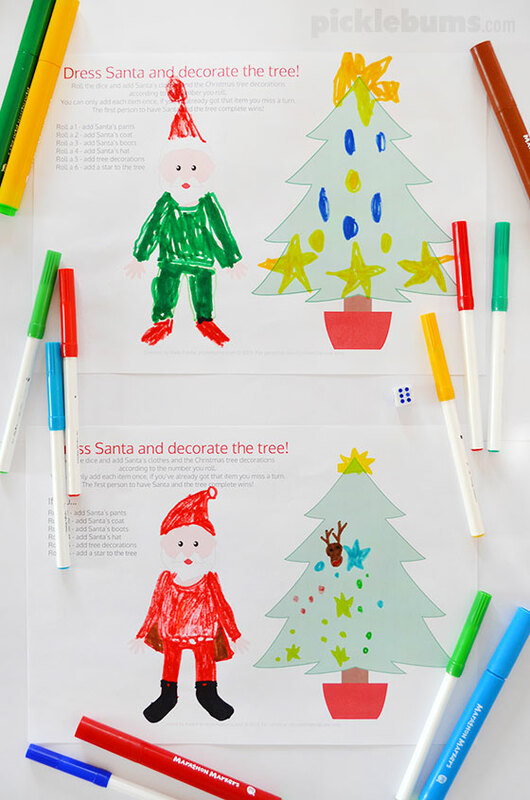 Give everyone a printed sheet and some markers, ready to draw and colour. 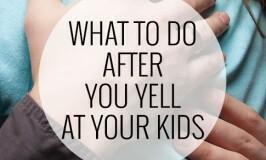 The youngest child goes first (that’s always our rule but you can make up your own!). Each player takes it turn to roll the dice and draw and colour the item that corresponds to the number on the list. If you roll a 6 – add a star to the top of the Christmas tree. If you roll a number that you’ve already rolled you miss a turn. 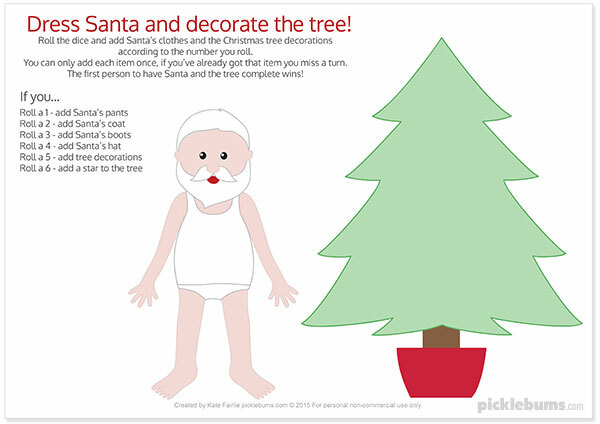 The first person to dress Santa and decorate the tree completely wins! Do you have any activities or traditions that help you fill ‘the gap’ at your Christmas celebrations? What an awesome idea I am going to get this ready for my nieces to play before christmas dinner. Great thinking thank you so much for this. This is fantastic. I am printing them out for my party next week. I am sure the kids will have loads of fun. Thanks for creating this game. This looks great! Would you be able to do a UK version that says trousers instead of pants? I think my little ones might be a bit confused by the thought of santa only being in his underwear!! ? Its Sunday morning, clocks have gone back & I’m in bed checking my emails. Opened yours & its as if Christmas really has come early for me! I’m a childminder with 5 under eights who love craft but as I’ve had these same children for a number of years I thought I’d be struggling to come up with new, exciting ideas. You’ve certainly gone a long way to helping me in this task & its still only October! MANY THANKS! !